Scheduling is one of the most annoying things we do at the beginning of the school year, in my opinion! If you missed part 1of my tips for scheduling, you can catch up here. 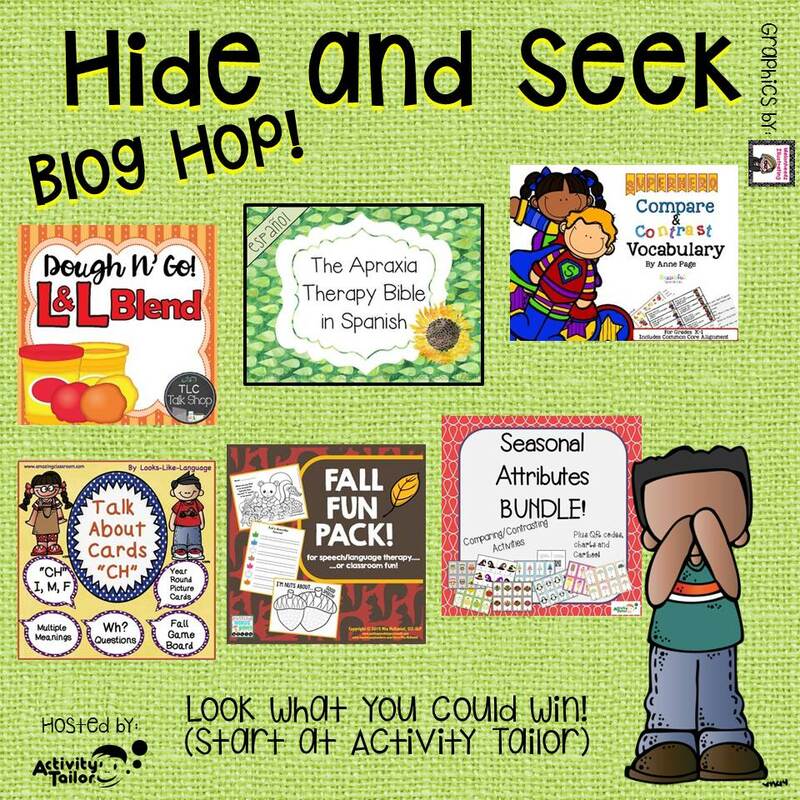 You might also want to see my grouping hints here! Now that you have organized your groups, gotten your sticky notes done and made your color coded master schedule, you are ready for one of an SLP’s worst nightmares: scheduling! •Never place a sticky on the same colored spot. •Fill in all the colored spots first, leaving the white spots (with more flexibility) open until the end. •Place all of the group slots first, starting with your groups that have the most limited openings and the largest sized groups. 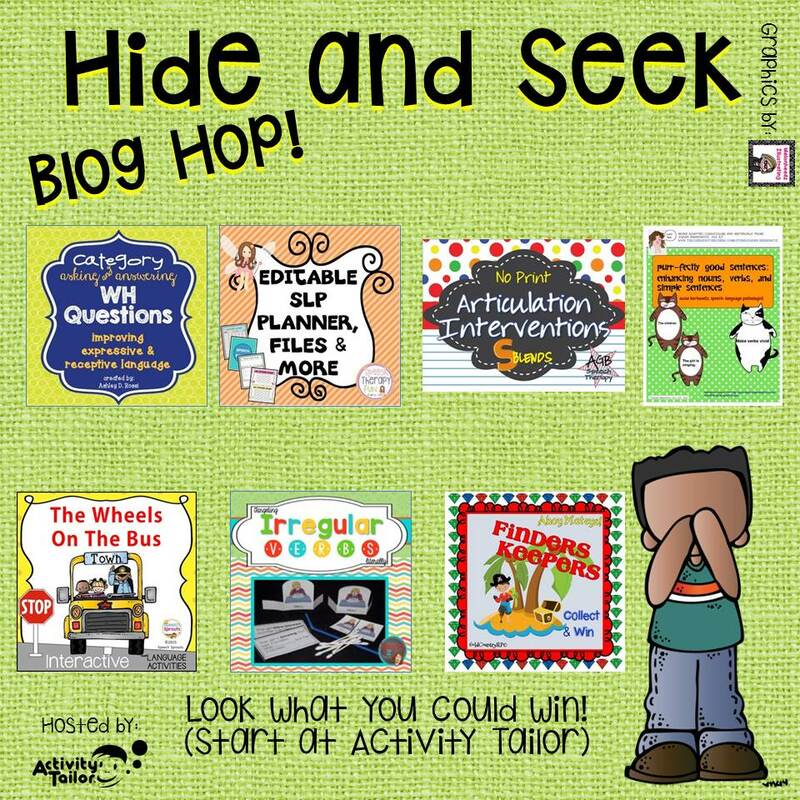 •Next, do your students who have the most individual sessions, so you can spread them out over the week. 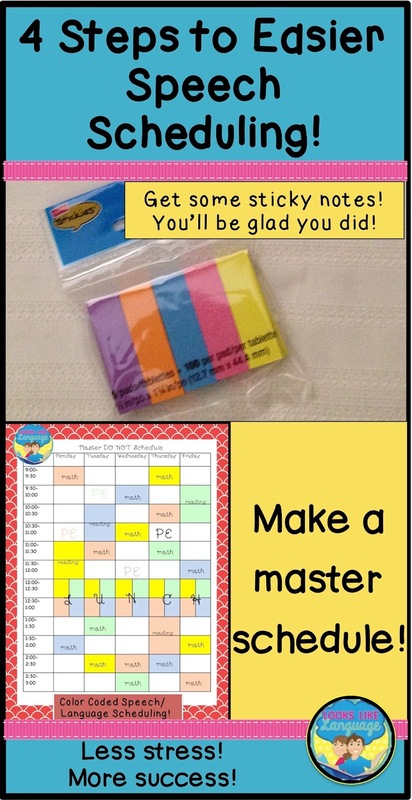 •Then, fill in the rest of the sticky notes while humming your good luck mantra! Inevitably, I get to a spot where someone doesn’t fit. I try first to find a sticky that will fit in the problem spot. Just pull it up and peek at what color is under it. If the switch works, great! If it looks like there will be multiple switches needed, I take a photo or a photocopy of the schedule at this point. Sometimes, a sequence of changes works and your problem is solved. Other times, you start making changes and it just gets worse. That is what the photo is for. If a muddle happens, look at your photo or photocopy and go back to where you were. Picking a different sticky note to make the switch usually works for me. 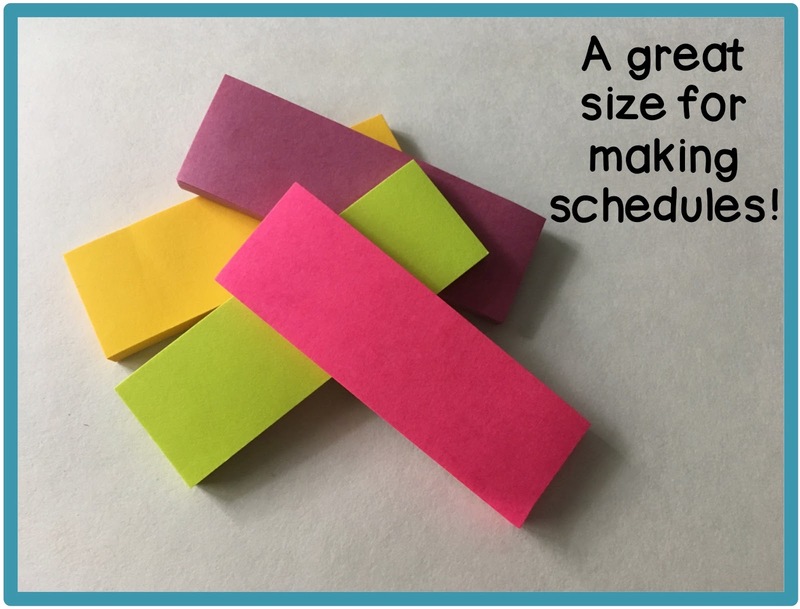 In the worst case scenarios, pull off some of the stickies for your easier to group slots and stick them on the side of the schedule. (I love this because I won't end up losing track of one of the groups while figuring out the scheduling snafu!) 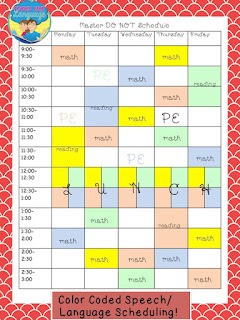 Find new slots for your hard to schedule kids and then go back and fill in the easier kids. Success! Now that your schedule works, put it in a page protector so that none of the sticky notes can accidentally fall off. Go make a photocopy to work from and keep your sticky original intact. 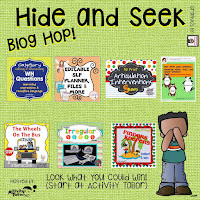 It will come in handy when the teachers’ or your students’ schedules get changed! Last, but very important, go home and de-stress at the end of the day. I find that a glass of wine with dinner works wonders. What do you do to unwind at the beginning of the school year? This series of tips can help your school year get off to a smoother start! We all need help there! If you missed my grouping tips, click here. Scheduling for speech/language therapy is such a pain! I’ve tried many ways to schedule over the years and this is the system that has worked best for me! Maybe it’s because I am a quilter, too, but the color-coding really helps me out. With this method, I also use small colored sticky notes and a page protector, but it will work with just a paper, pencil, and any size sticky notes that you are willing to cut to size. 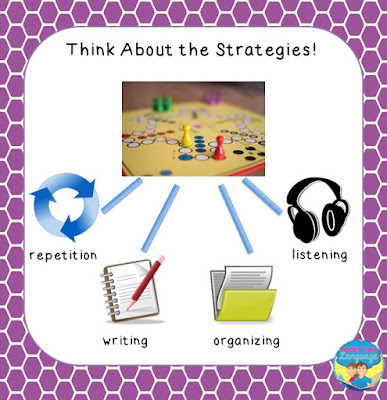 Before you get started with this step, though, have you thought about how you want to group your students? If you'd like some ideas, catch my grouping tips series here. I used to cut the sticky parts of some sticky notes down to the size that will fit on your schedule, but look what I found at Staples this year! I just hope to see these in dollar stores soon! Write the names of your students on the colored sticky notes that match their team color (even if I’ve just arbitrarily assigned it! 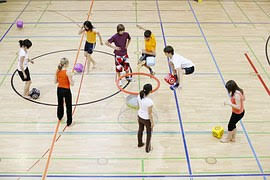 A Team= yellow, B Team= blue, C Team= pink, D Team= green, for example.) 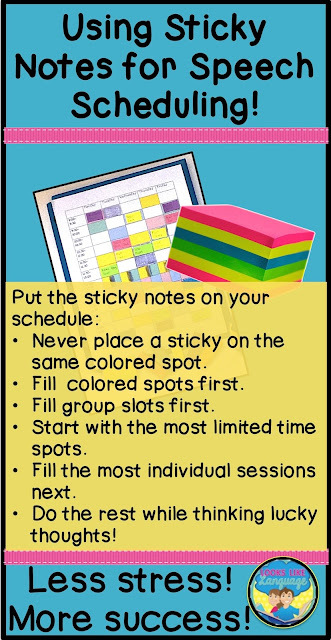 There will be a color-coded sticky for every session that I need to schedule. This ensures that I don’t accidentally skip a session while scheduling and is very useful when making schedule changes. My school has classes that are organized in groups or teams that have similar schedules, so the first thing that I do is to make a master schedule of time slots where the students are NOT available. The colored slots on the schedule indicate this. I often fill in what is scheduled during those time periods and the location to help me out on those days when I have to flex my schedule. I also like to fill in periods where I am allowed to take students, but it isn’t worth the fight unless necessary. If you do any block scheduling or push in times that have little flexibility, fill these in on your schedule now, too. By the way, I prefer using 'don't schedule' times because they usually fill up less of the schedule, but it is perfectly fine to do it the other way, too! I just wish that my real schedules were this simple and this pretty! But a sloppy version can be made while you are sitting in those long meetings at the beginning of the school year, and it works quite well as long as you can read your own handwriting! Do you have another system that works for you? Please share! Are they apples or oranges? Grouping speech/language therapy students and making schedules are some of the biggest stressors when going back to school! 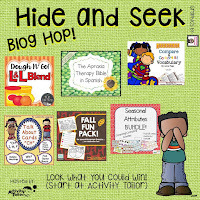 It is a tough time of year so I have been sharing tips I have learned to make difficult combinations of student behaviors/needs work. I’m a big fan of spending less time talking myself in therapy and getting the students to interact more with each other. 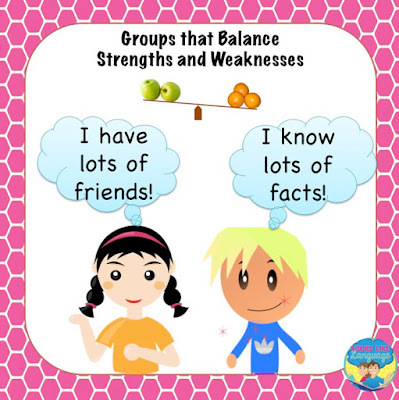 One way to do this is to group a student who has a good factual based set of language skills together with a student who needs this help. 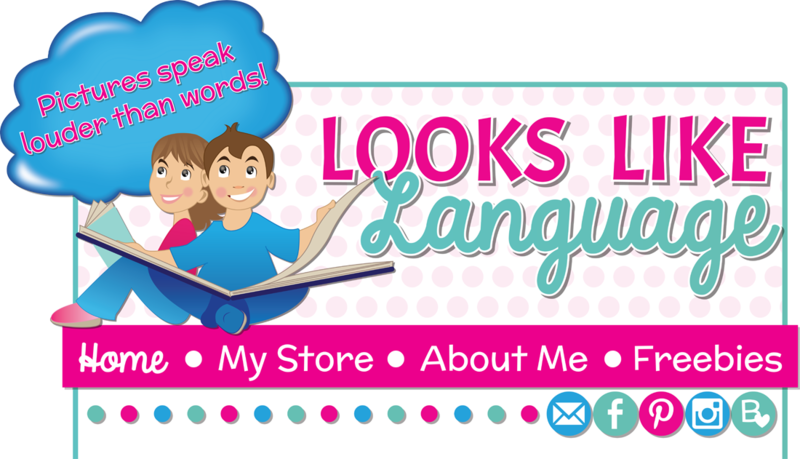 Talking about what he knows will help the student with social language problems, giving him a chance to apply rules such as watching facial expressions and body language to tell when he has said enough. 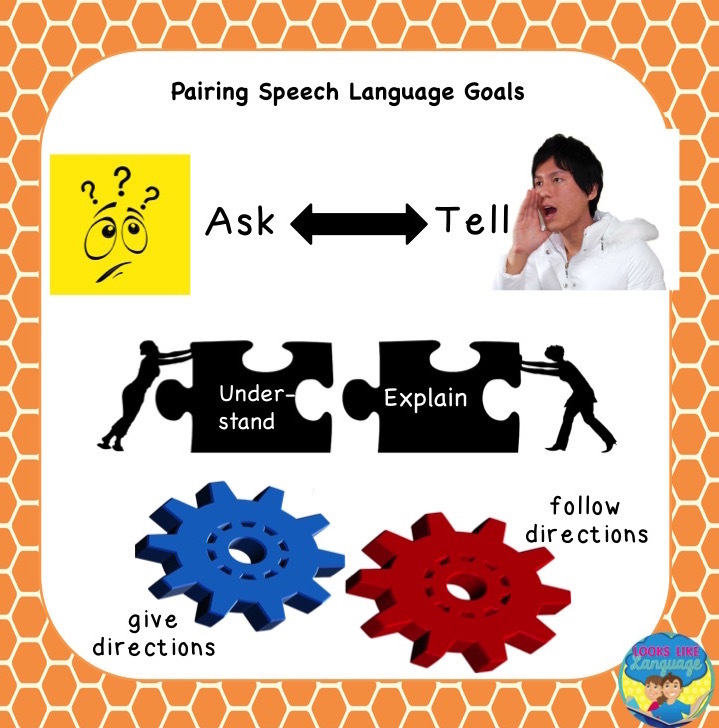 Similarly, the student who is learning the vocabulary or sentence structure will have her chance to shine when modeling the social skills to pay attention to. Everybody is a winner! I hope that some of these tips gave you food for thought and helped reduce the beginning of the year stress a little! There will never be a schedule with all perfect groups, but with some forethought and planning, you can make treating difficult groups more manageable. So, did we come up with the same 5 tips? If not, just comment below and let me know what I am missing! Hope your year is off to a good start! Scheduling can be a nightmare! If you missed the first part in this series, go here. Who wants mac and cheese? Speech/language therapy mismatched groups can accomplish the goal as long as you are able to find some tie to pull it all together! One way to do this is to take a look at that goal sheet you organized and think about what you need to say or do to elicit the responses for that goal. Then, look at the other goals on your list. Do any of your students need to learn to do just that? Voila, a group! You model, then prompt, and hopefully in not too long you will have a group the interacts with each other while accomplishing their goals! Don't worry- they won't put you out of your job! As lovely as this idea sounds, it doesn't always work. So here's another tip. Try thinking about HOW you plan to get the goal accomplished. What strengths can be used or what strategies can be taught to help your students to achieve their goals? Could any of your goals, and thus your students, be grouped together by using the same strategy? Remember, we are just looking for a dining room table to share. What is being served can be tailored to the individuals sitting at the table! Not every scheduling problem can be fixed. Sometimes you just have to try your best and persevere, but I hope that this gave you some ideas that you can use!